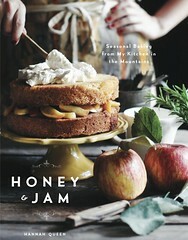 honey & jam | recipes + photos: Earl Grey Cupcakes with Lemon Earl Grey Buttercream. Earl Grey Cupcakes with Lemon Earl Grey Buttercream. When I first saw this recipe I thought “earl grey....cupcakes?! how can this be!”. I soon calmed down and resolved to make them very soon. I’ve always been a tea drinker. I can’t for the life of me see what the allure of coffee is. But tea...with is simplicity and deliciousness, it’s always drawn me in. I rarely drink earl grey, it’s a little too floral for me, irish breakfast is more my style. But it was so good in these cupcakes. The flavor isn’t really what you expect when you bite into a cupcake. At first, you don’t really taste it, you just smell it. And it smells wonderful. But then after a few bites, you really start getting the flavor. It’s fabulous. And the lemon earl grey buttercream is SO GOOD! I could just eat it with a spoon. I will definitely be making these again. look at me trying to distract you from my awful icing skills with crazy patterns! 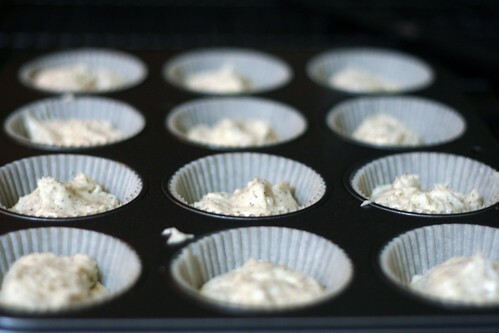 Preheat oven to 350 F. Fill a cupcake pan with liners. Beat the butter until creamy, then add the sugar and beat until fluffy. Add the eggs one at a time, making sure that they are incorporated thoroughly. In a bowl, combine the rest of the dry ingredients, including the tea leaves. Next, add half of the dry mixture. Add the milk then the remaining flour, stir until combined. Fill cupcake liners about 2/3 full. Bake for 15 - 20 minutes, rotating halfway to ensure even baking. Let cool completely before frosting. For the frosting, cream the butter until nice and smooth. Gradually add the powdered sugar. Next, add the lemon zest, lemon juice and tea, making sure it is well incorporated. Frost and enjoy. Some notes: Mine completely sunk in the middle. But that’s why God made icing, right? Right. Also, mine were done in about 12 minutes, but it may be different for you. You don't do anything with the tea bags but rip them open and pour the leaves in when it says to. These look absolutely amazing! I am a huge tea and lemon lover..the combo. in a cupcake sounds divine. I will definitely be trying these out shortly! 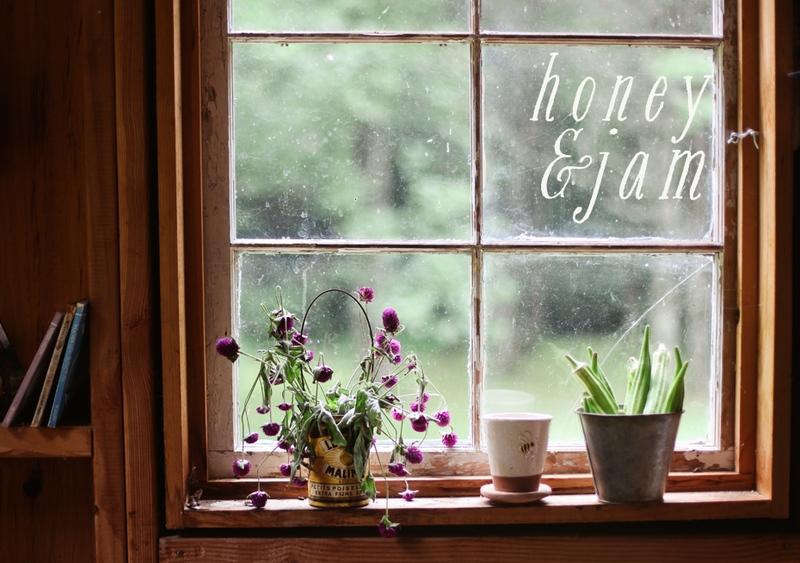 I recently found your blog and love your photography/recipes!!! I really like Earl Grey Tea!! I will have to try these! Oh Yayyyy! I'm glad you liked them, they look super pretty! Thanks for blazing the way! I always wondered what Earl Gray tea baked into was like. Definitely giving these a try. oh my! thanks for sharing these, I've been interested in baking with earl grey ever since I had earl grey dessert mousse at a restaurant. these look delightful. I drink Earl Grey tea ever day, and these cupcakes sound wonderful! These look delish! Question though; you've included 1-2 tea bags as well as tea leaves. What to do with the tea bags? break open and add to dry ingredients? or steep in the .. umm... eggs - what?! I am dying to make these. Yum! I made some like these, and we loved them. My recipe didn't put Earl Grey in the icing, though. That sounds splendid. I shall have to try it! I'm so jealous; I wish I had the time to cook as much as you do! So, your pictures have always been really good, but you're totally getting even better at it. Can you tell? Like with your angles and composition. I know how hard it is critiquing yourself, but your photos are really good. Really. :) And I love that you take food shots outside too. And it's perfect putting the item on the railing because to me it gives it that old-fashioned "pie in the window sill" look. Love it! Thanks, that is just what I needed to hear. I've felt lately I was getting just a tad better at composition, but you never really know. haha. And yeah, I love being able to cook so much, but it'll slow down once i start my garden and start school in the fall. I'll be totally bummed. These were amazing, but they might work better with less baking powder - ours overflowed pretty dramatically and then fell. Yum, those do look wonderful. Thanks for the photo of your cupcakes liners filled. The recipes always call for 3/4 filled but when I do they just overflow and look ugly. Ooo - these sound YUM! I wonder what they would be like with my fav vanilla chai or lavender tea?? Hmm - must try! I just made these and they turned out awful. I know that you said that they sunk, but mine were so sunken there really wasn't any cake in the cupcake at all. The buttercream is wonderful. I am going to definitely try again though, I love the concept. Yeah, a lot of people seem to be having that problem, I think it's the amount of baking powder. It needs to be adjusted. I'm going to work on that sorry. Sorry about your cupcakes! I'm glad you liked the frosting though. 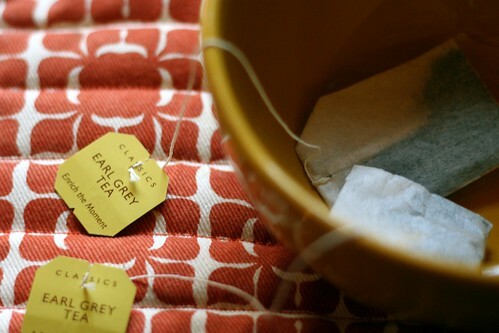 yum, i love earl grey for it floral aspects...and sometimes it smells like fruit loops to me, random i know. these look fantastic. Fascinating idea! 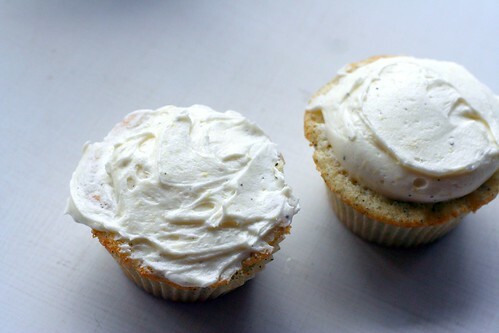 I love earl grey and will want to make these cupcakes soon, sinking middle or no! Oh, dear. These just might have to be made. Soon. Very, very soon. Hannah!! 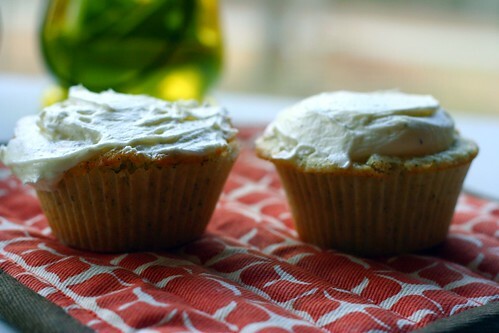 I made these cupcakes, and used 4 teaspoons of baking powder instead of tablespoons. It worked great!!! I have some friends that would just love these! I just made these (though not the icing yet) -- I used 2 teaspoons of baking powder, 2 teabags-worth of earl gray tea, and I turned them around after 17 minutes of baking because if you turn them too early, they'll sink, and I saw that people were having a problem with that... anyway, they are absolutely delicious! Thanks for the recipe! I might have to try these with tea tomorrow! have you ever tried making earl grey cookies? they are delicious!! don't remember where I found this recipe, but here you go! In a medium bowl mix the flour, tea, and salt, until the tea is just spotted throughout the flour. Add the confectioners' sugar, vanilla, and butter. Mix just until a dough is formed. Place dough on a sheet of plastic wrap, and roll into a log, about 2 1/2-inches in diameter. Tightly twist each end of wrap, and chill in refrigerator for 30 minutes. Preheat oven to 375 degrees F. Slice the log into 1/3-inch thick disks. Place on parchment lined baking sheets, 2 inches apart. Bake until the edges are just brown, about 12 minutes. Let cool on sheets for 5 minutes, then transfer to wire racks and cool to room temperature. we made these tonight for my birthday and I adore them! Thanks!! Oooh this looks fantastic. You think the recipe might work as a layered cake? I think that I will bake some of them to give to my family and I know everybody will be very impressed and they will feel so complete, and nobody will ask for more. just took these out of the oven... can't wait to see how they turned out. My batter was REALLY thick though... like cookie dough almost! so i added an extra 1/4 cup milk. And I used earl grey vanilla tea... i added 3 teabags though because I wondered if the vanilla would overpower the tea... Mine rose beautifully but maybe it's because i beat the crap out of the butter before adding anything to it? ooo i wonder how they taste????? i am being good and not eating them yet! So I just made these tonight! and they are fantastic thank you! Just sitting down to a cup of Earl Gery with my cupcake right now. I just made these, and what a wonderful recipe! I used a bit more Earl Grey (stash brand) and a dash of vanilla, and they tasted amazing!